Boys play while men dig a ditch near their home. The Ak-Jar settlement stretches to a lake. 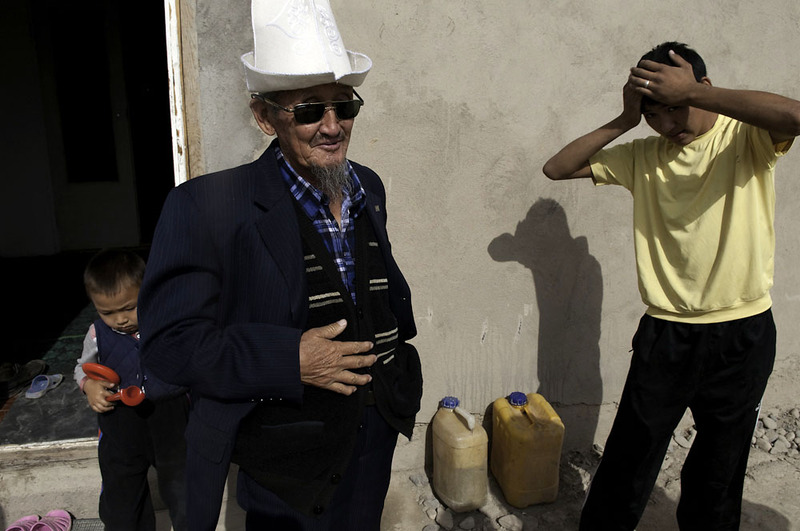 A man pushes plastic containers filled with water to his house. Mahadil Abdulaeva walks outside her home holding her 3-year-old daughter. A mini bus driver eats lunch before driving passengers back to Bishkek. The Asylbaeva family prepares a meal for relatives visiting from Osh. 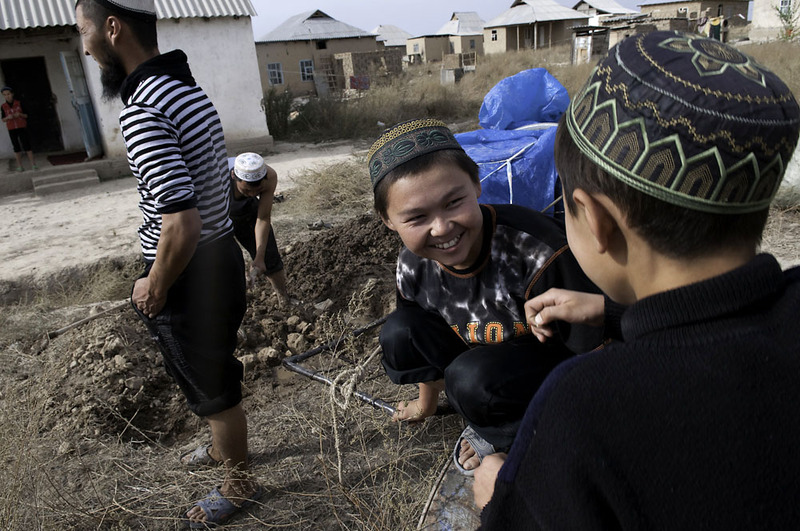 About 15,000 people, mostly from southern Kyrgyzstan, live in the settlement. 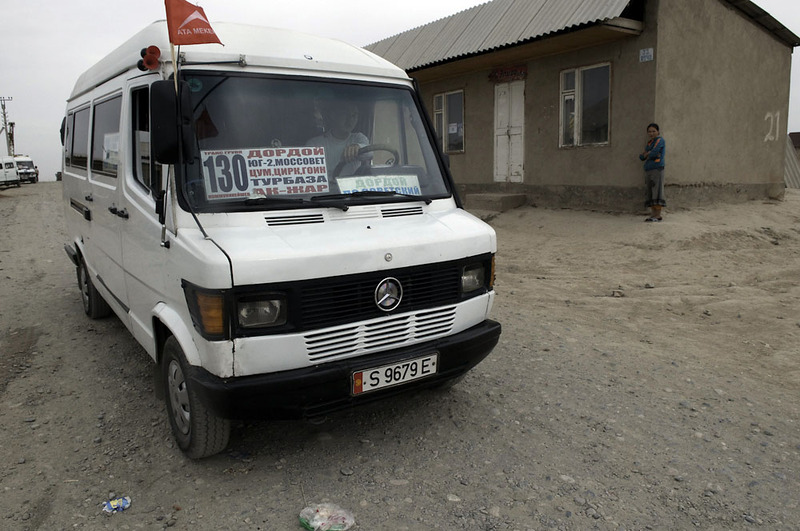 A mini bus displaying an Ata-Meken party flag delivers passengers from Ak-Jar to Bishkek. 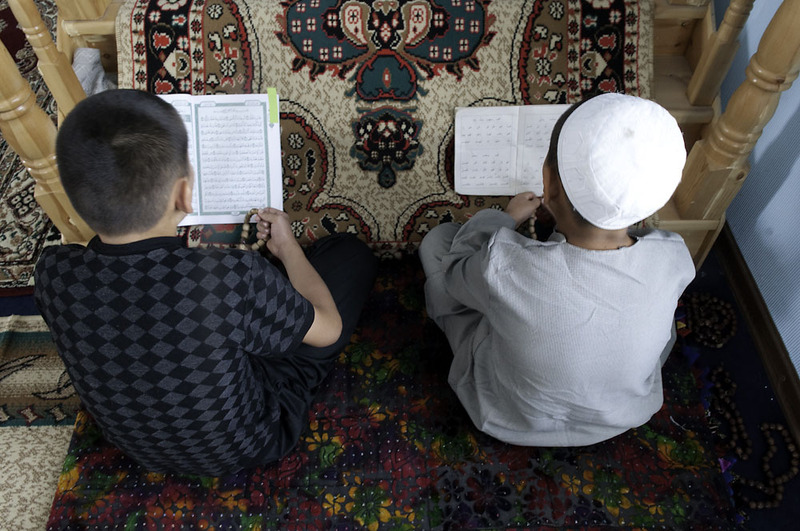 Boys read loudly from Korans in the settlement's mosque. 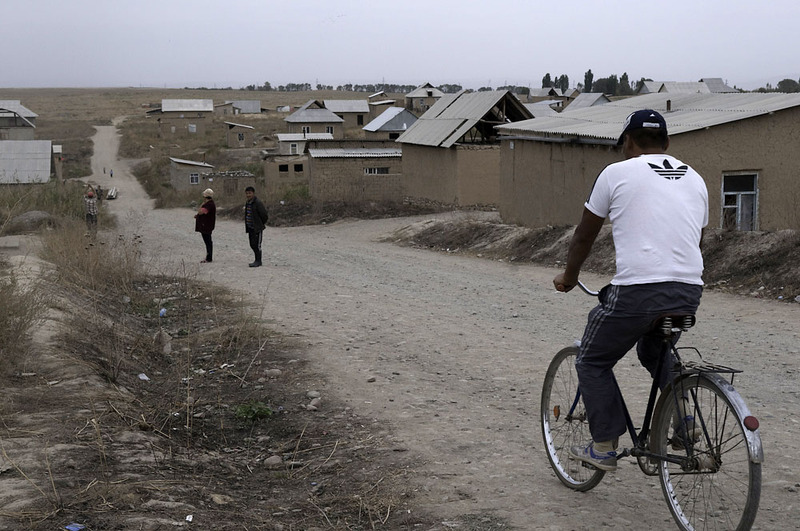 Ak-Jar is one of 50 settlement's on the outskirts of Bishkek. Store owner Rahmanberdi Turganov logs in when mini buses arrives at Ak-Jar. 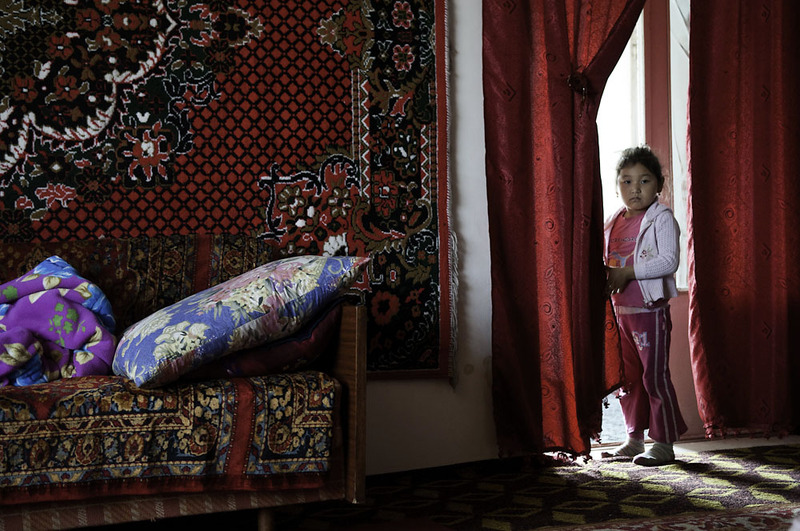 A young girl stands at the entrance to the family livingroom. 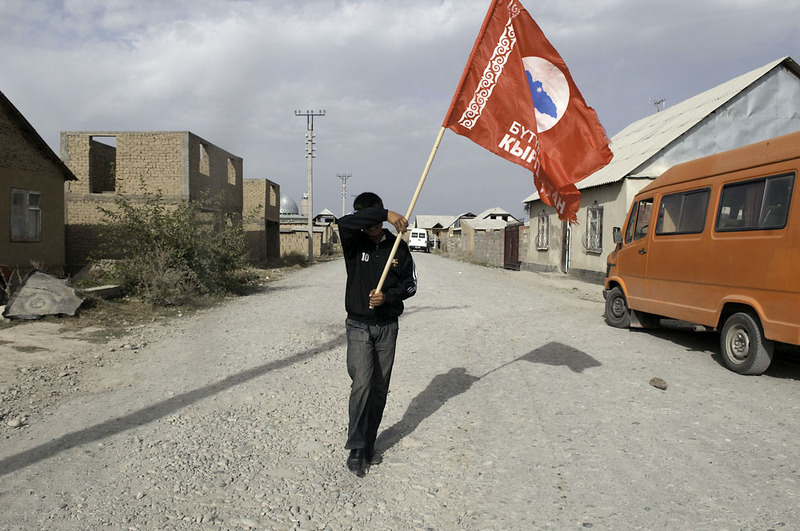 A boy carrying a political party flag shields his eyes from the blowing dust. Sitting in her living room with walls covered by traditional carpets and pillows on the floor, Mahadil Abdulaeva fights to hold back the tears as she recounts the sudden death from heart failure of her 1-year-old daughter Murzayim two days earlier. 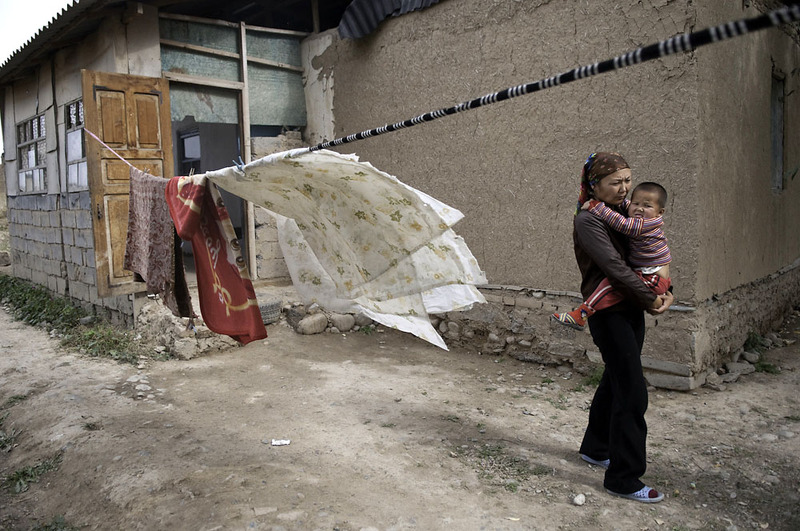 In the dusty and rocky settlement of Ak-Jar, several kilometers from the center of the Kyrgyz capital, Bishkek, 30-year-old Abdulaeva and her remaining 3-year-old daughter live alongside about 15,000 other internal migrants – mostly from poor, rural villages in the southern half of the country – who live hand-to-mouth without a residency permit. 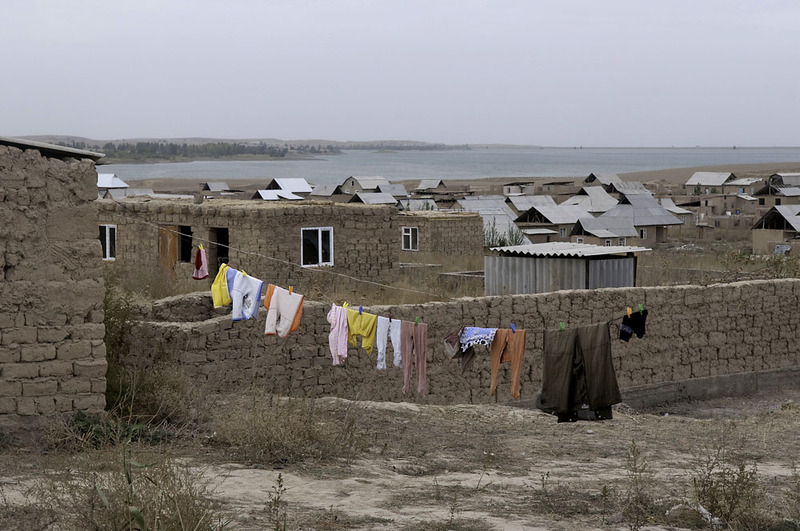 Without the appropriate “propiska,” the 4,000 families in this squatter settlement, or “novostroika,” have no access to social services, such as medical care or water. 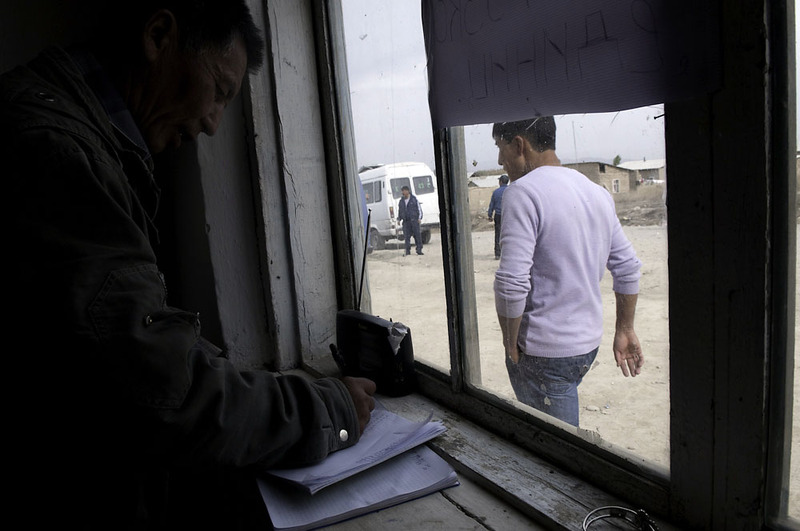 As Kyrgyzstan’s parliamentary election takes place on October 10, adults without a propiska are also unable to exercise their constitutional right to vote. Jamilya Asylbaeva, an administrator with Arysh – an NGO working to improve conditions within the novostroiki – says about 300,000 people live in the 50 new settlements ringing Bishkek. Government and civil society representatives estimate that 35,000 to 50,000 citizens living in these new districts – around 5 percent of the voting population in Bishkek – are not registered to vote, according to an October 1 report by the OSCE’s Office for Democratic Institutions and Human Rights. The number of disenfranchised voters could be much higher according to Asylbaeva, who says about 95 percent of all houses in the novostroiki are illegal. The government maintains that those living in the novostroiki can vote, but they must return to their home district. For most, they have no money or means of transportation to and from their previous homes. 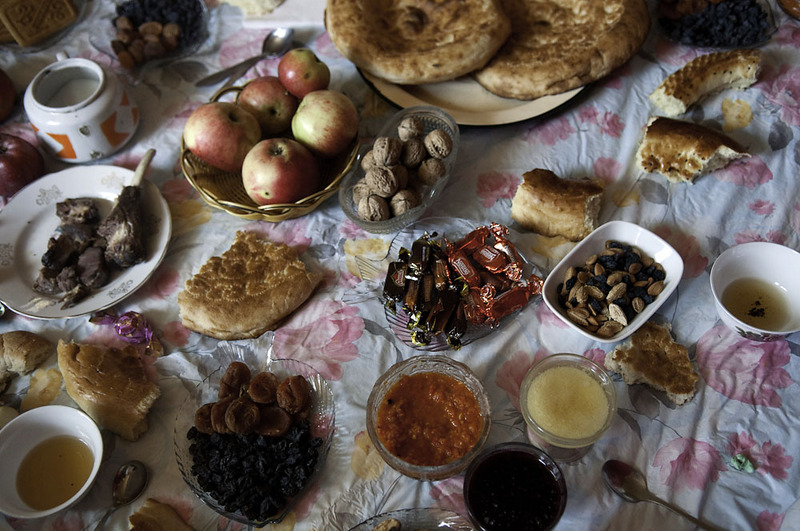 As she lays out plates of boiled mutton, sweets, fresh bread, pickled cabbage and steaming green tea for the visit of her brother and family from her hometown of Osh, Itibaeva says she would travel home to vote, but insists the government should pay the transportation for those without legal residency rights. 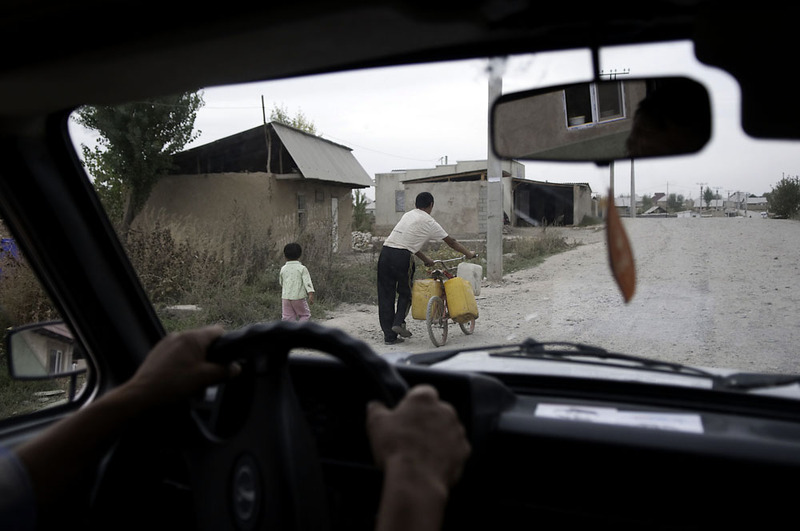 The trip to Osh takes roughly 12 hours by car and costs 1200 som ($25) per person in a shared taxi. “It’s money we don’t have,” she says. Dean C.K. Cox is the photo editor for EurasiaNet.